Not to be insensitive, but freedom of speech and its companion freedom of expression is bedrock to me. For that reason, I must stand with the South Park creators Trey Parker and Matt Stone and Danish cartoonist Kurt Westergaard as well as all those Islamic artists who have portrayed the Prophet in art. 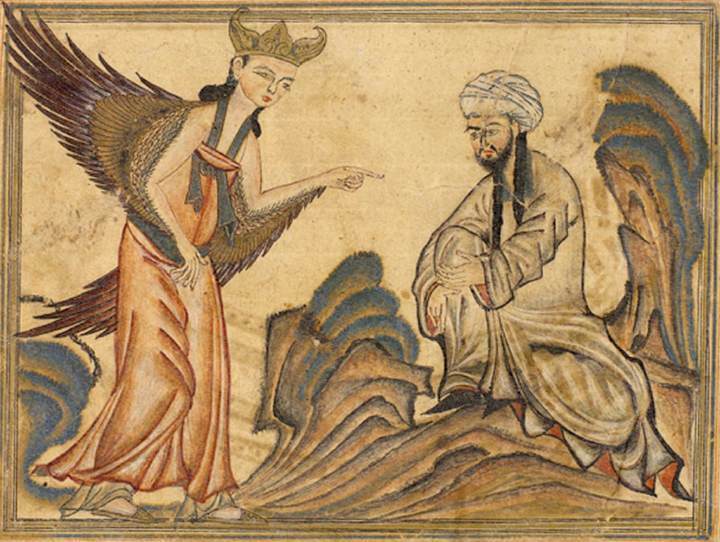 Above is my contribution to Everybody Draw Mohammed Day, a Persian illustration on vellum from the book Jami' al-Tawarikh by Rashid al-Din, published in Tabriz, Persia, 1307 A.D. Now in the collection of the Edinburgh University Library, Scotland. Thanks to zombietime for the image. I personally find the whole notion of not showing Mohammed in a picture to be silly and the idea that someone can be killed for doing such is beyond the pale. But (you knew that was coming, right? ), isn't part of freedom of expression freedom to worship as one chooses? Take away the ridiculous notion that someone can be killed for showing an image of Mohammed, aren't you using your freedom of expression to ridicule someone else's freedom of expression? And, would you be willing to turn the same critical eye on horrors committed by people in your own religion?